James River Advisors is a financial advisor in Lynchburg, VA with offices throughout the state as well. James River Advisors is a Registered Investment Advisor, making us a great fit for individuals and families ranging from early career savers to pre-retirement and retirement clients. Our Lynchburg staff includes a combined 50+ years of experience in investment management and financial planning. Our staff includes Tim Bourne, with a deep background in trusts and investments, and Steve Miller, a CPA. With our versatile background, the Lynchburg office is uniquely positioned to advise clients on investments, trusts, college planning, retirement planning and tax planning. We believe in establishing deep, long-lasting relationships with our clients. Customer service is a priority to us. In fact, we limit the number of clients we serve so we can know and understand our clients better, and make sure each client has access to us whenever needed. Tim is a financial advisor in Lynchburg, VA. He enjoys learning each client’s individual personal story and developing solutions to meet their investment, retirement, and family financial planning needs. As a valuable part of James River Advisors, Steve provides valuable input for tax-efficient investing, tax planning and consolidation of clients’ tax information. Our close proximity makes us accessible no matter where our clients work or what they do in the area. The central location in Wyndhurst is close to many employers in the region, including Areva, Liberty University, and Centra Hospitals. To get to our office from Amherst, VA: Follow US 29S and take the exit for 460W toward Lynchburg/Danville. Then take the Airport Rd exist toward Greenview Drive and turn onto Timberlake, then Laxton, then Enterprise. Our office will be on the right. To get to our office from Appomattox, VA: Take 460W until you arrive at the Greenview Drive Exit. Turn onto Timberlake, then Laxton, then Enterprise. Our office will be on the right. Q: What does it mean that James River is a Registered Investment Advisor? 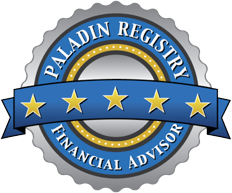 A: In order to be a Registered Investment Advisors (RIA), advisors will have to apply to start the registration process. Not only is this registration indicative of our expertise, RIAs have certain requirements in place to ensure we are looking out for our clients. Q: Is James River Advisors paid through fees or commissions? A: James River Advisors is a fee-only financial advisor. We charge you one simple fee based on the amount of assets under management. Asset-based fees help align our mutual interests since as your account grows, we grow as well. Plus, the fee is all-inclusive, which means it includes financial planning support. Q: What does it mean that James River Advisors is a fiduciary? A: It means James River Advisors is legally and ethically bound to always put your best interests ahead of its own. Not all financial advisors are fiduciaries! Whether or not you choose to work with James River Advisors, make sure to choose an advisor who is a fiduciary. Q: Do I have to be wealthy to work with a financial advisor in Lynchburg, VA? A: Not at James River Advisors. We work with individuals at all different financial stages in life. Some of our longest and most successful client relationships have been with individuals who started small and worked with us on a financial plan over time. Q: I’m concerned about sharing my personal finances. Will my information be kept confidential?